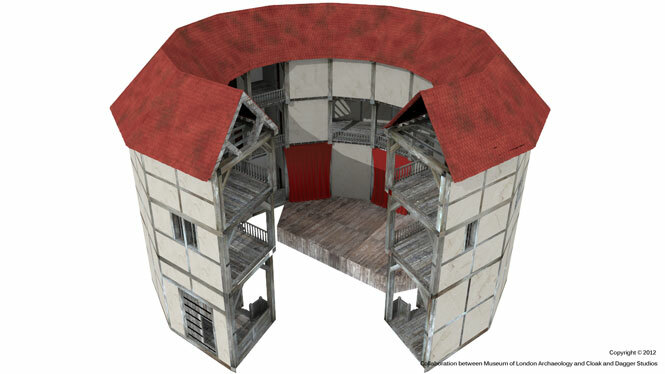 Cloak and Dagger Studios (CnD) and Museum of London Archaeology (MOLA) have teamed up to create the first ever digital animation of Shakespeare’s original London playhouse, The Theatre. 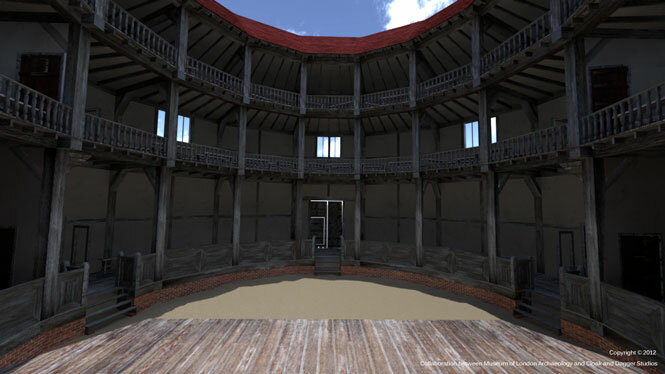 The CGI animation is based entirely on archaeological evidence unearthed by MOLA and offers people today a chance to view the Theatre as Shakespeare would have himself in 1595. Images from the animation feature in Shakespeare and Us presented by Simon Schama as part of the BBC’s Shakespeare Season. CnD employed 3D modelling software used in the film and visual effects industry to produce the virtual simulation of the Theatre. The animation is a highly detailed and versatile replica that takes users on a journey exploring every nook and cranny of the Theatre. The historical reconstruction is based entirely on real-world dimensions extrapolated from excavation work and has enabled archaeologists to explore how the playhouse would have been used by theatregoers and performers in the 16th century. Initial reflections have highlighted the lack of light in the Theatre, which would have dictated when performances could be shown; the dimensions of the galleries have provided an insight into the views that the audience would have experienced; the constraints on space in the stalls reveals to us that conditions would have been extremely cramped for theatregoers. The representation has also brought to light new questions about how the Theatre would have been used. Archaeological evidence for the stairwells only survived in part and therefore digital artists from CnD and archaeologists from MOLA did extensive research to build up a historically accurately and physically viable solution.